Having poured hours and hours into previous Lego games like Lego Star Wars, Lego Batman, Lego City (my favourite, fighting crime on a police segway - love it) and Lego Marvel Superheroes, I felt well prepared for the fill-up-the-completion-percentage collection-fest that was about to ensue. But this time it's crazier than ever, bringing together 14 franchises: Doctor Who (yay! ), Portal 2 (double yay! ), Back to the Future, Ghostbusters (of course this is a game for children, and not us 80s kids...), Scooby-Doo (see?! ), Midway Arcade, DC Comics, The Lord of the Rings, The Lego Movie, The Wizard of Oz, The Simpsons, Lego's Ninjago and Chima, and Jurassic World. How on earth they managed to get the people involved in all of these brands around a table, I have no idea. I'm assuming the answer is cash, but secretly I hope it's just because everyone really loves Lego! 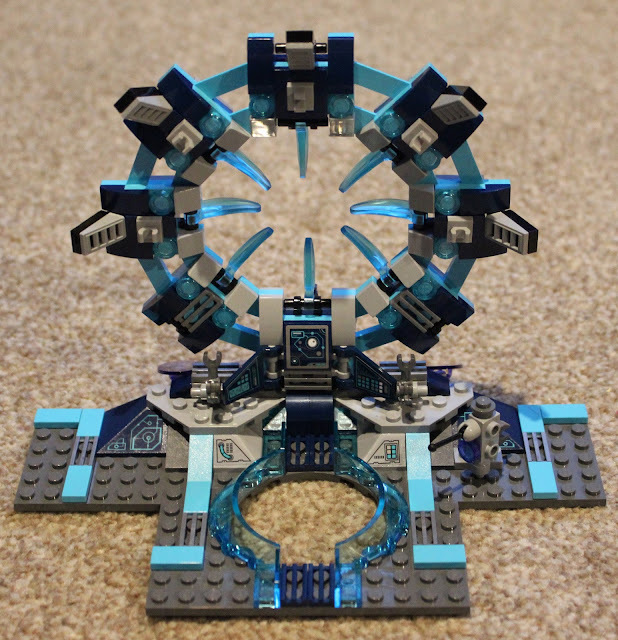 There's the game itself, a portal platform thingy called the 'toy pad', a nice big box of Lego to build and a giant poster showing all of the extra kits you can buy (more on this later). Resist the urge to build everything as soon as you open the box! 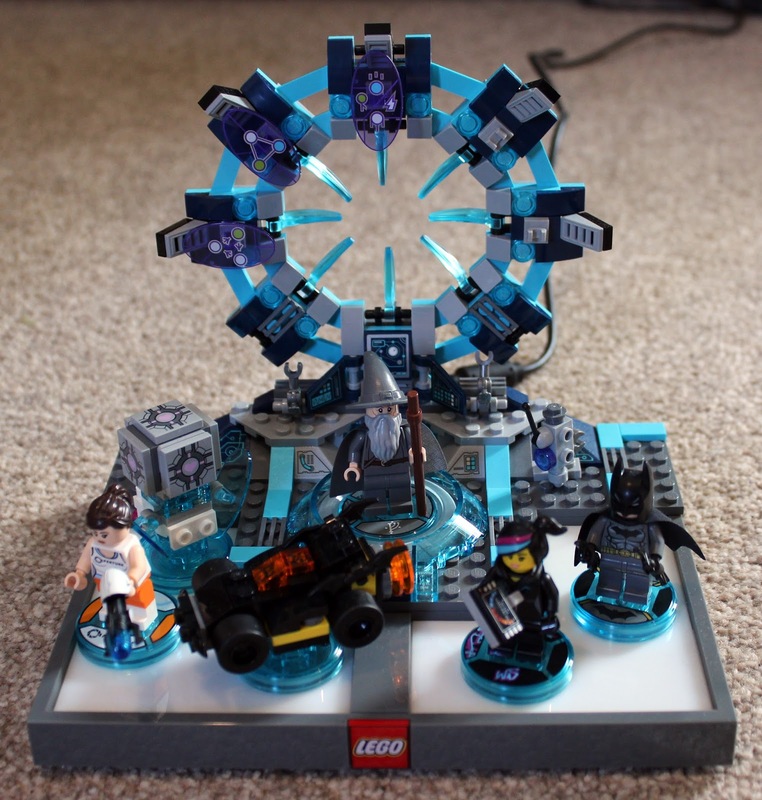 You're instructed to build the little minifigures for the starting team: Gandalf, Batman and Wyldstyle (from the Lego Movie). 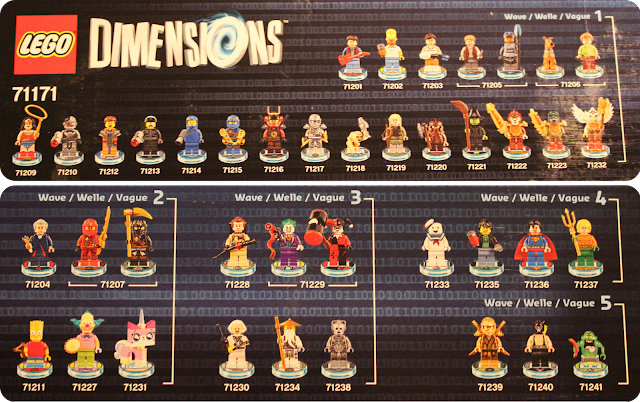 The characters are all normal useable Lego minifigures, but the special RFID tagged bases that you place them on allow them to appear in the game world, along the lines of other toys-to-life games like Skylanders or Disney Infinity. What makes Lego Dimensions different is how you use the toy pad. More than just a character-select device, during the game you'll need to use it to solve various puzzles that require you to move your team around both in game and on the pad. Sometimes you'll be trying to use elemental forces, jump through the right coloured portal or colour code the pad (it has lovely colour cycling LEDs so looks very pretty). Positioning can also be important during fights, with characters in certain areas being damaged, so you'll be constantly shifting Lego about to avoid destruction! This fun use of the pad really adds to the interactivity of the game, although it can get a bit chaotic if you have the full complement of seven minifigures on board. I do have to play the game on the floor, however - the cable for the toy pad would just about reach the sofa but there's nowhere stable enough to put it. In combination with the toy pad, gameplay is the usual Lego game combination of puzzles, collecting and smashing things up. Story mode takes you on an amazingly absurd and increasingly chaotic tour of the franchise worlds in an effort to stop the evil Lord Vortech (voiced by Gary Oldman) taking control of the Lego Multiverse. You can also access an adventure world for each property once you have a minifigure from the relevant franchise; these are open-world areas with additional puzzles to solve and items to collect. Then there are additional levels to complete in the various 'level packs' available. Which brings me nicely to the grumpier section of this review. So far, my biggest problem with the game (aside from driving, which is horrendous!) is also one of the things I like most about it. 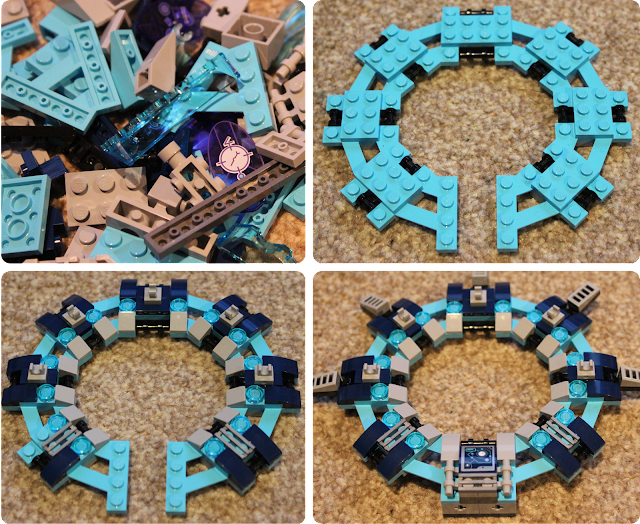 I love that it's expandable, with awesome Lego models to collect and build, but at the same time... I hate that it's expandable. Fickle, I know, but I can't help it! I've spoken a little bit about my feelings on gaming accessories before, in my Pokémon Go post. Having the console, the controllers and the games themselves is a given (at the moment, until physical copies of games disappear altogether). Piling on top of that the toy pad and a heap of minifigures gives me extra (admittedly awesome) things to store, break or lose. But storage issues pale in comparison to the cost. Technically (only technically, mind!) this is a kids game. Show me a child with £80 of pocket money saved and ready to go - and that's before you buy the extra level packs, team packs and fun packs to access all of the available areas. The first wave of releases adds three level packs, two team packs and fifteen fun packs. That's almost £400 extra cost, on top of the base game. Oh, and there are five (thankfully smaller) waves announced. I can never own a complete collection! Admittedly, you only need one minifigure from a franchise to access that particular adventure world, which very helpfully means you don't have to buy everything to see all of those worlds. I can play Portal in Lego... Eeee! And it's really well done. Companion cube and turret get upgraded during play, too. If you're going for 100% complete, though, you have a bit of a problem. 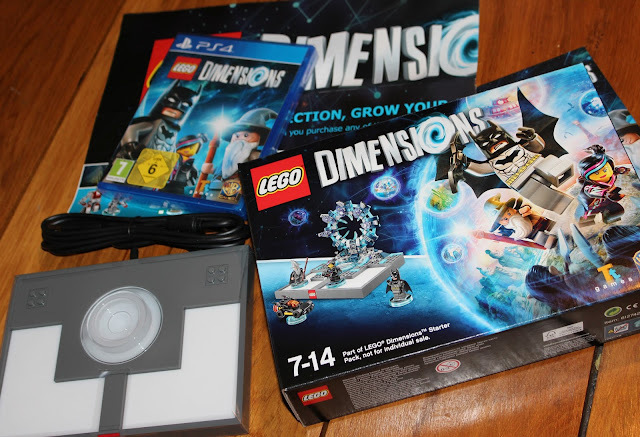 As with its predecessors, Lego Dimensions has collectible items that you can only access by using a character with the correct 'power' (hacking or digging, for example) in the right place. I originally thought that there were a number of characters with each of the powers, which would help lower the cost of completing the game. When I looked it up, however, I found that there were a few examples where there is only one character with a particular ability - Unikitty being able to smash rainbow bricks, for example, or Chell and her portal gun - meaning you have to buy that pack to finish everything. I know that people aren't all as obsessed as me about filling up completion bars, but it seems a little unfair to put a price tag on my crazy! Financial issues aside, I still love the game. If I hadn't already known I was going to like this from my previous experience of developer TT Games' wit and sense of fun, the Douglas Adams reference in the opening cutscene would have convinced me that this was going to appeal to my sense of humour. The combination of so many familiar characters is played to brilliant effect, the cut scenes are polished and funny, and the puzzles are clever. We'll get many hours of entertainment out of this, and I'll just have to get used to the fact that I can't afford to complete the collection! Saying that, Unikitty is pre-ordered for November, Doctor Who arrives in January (Lego TARDIS? Sold!) and I can't see my husband *not* purchasing the Joker and Harley Quinn - this may be a dangerous new addiction, especially if they add any more exciting franchises in the future!